Gem therapy is an alternative form of healing. 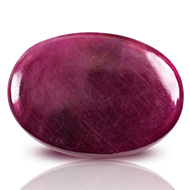 Practitioners of this therapy believe that gemstones carry certain vibrations, which when placed within a person's aura, have the effect of changing it. It is believed that the human aura consists of nine colours, namely: violet, indigo, blue, green, yellow, orange, red, infra-red and ultra violet. Any deficiency of these colours upsets the body's energy balance leading to illness. Gemstones heal by restoring the balance to the original composition of the nine colours. Placing the gemstone in close proximity to the place of sleeping or sitting has a greater effect. For example placing a pyramid made of natural red jade gemstone in the South or South west direction of a dwelling activates the Muladhara Chakra. Parad, Lapis Lazuli and Sphatik in the North direction give positivity, creativity and spirituality. Gemstone when placed on the body gives more effect to the wearer. It is better to wear a gemstone along with the planetary metal as per an individualâ€™s native chart. For example wearing a ruby ring made of gold can be worn on the ring finger to attain name, fame and success. Wearing same colored clothing or sympathetic colors as the gemstone enhances its effect. 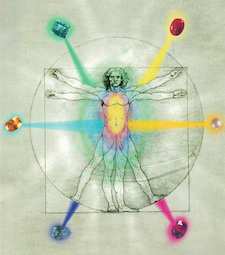 Wearing a gemstone on the skin also aids in opening the blocked Chakras in the body by color therapy. Clears the mind and balances emotions. Enhances stability, will power, courage and wisdom. Useful for both physical and emotional healing. 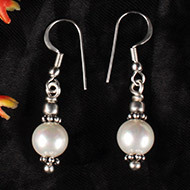 Creates a feeling of relaxation and calm and thus reduces tension. Good for establishing a connection between the heart and the mind. Helps to change bad habits. Broadens one's perspective, enabling one to see all the possibilities in a situation. 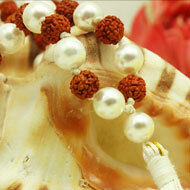 Gives emotional balance and enables us to express our emotions better as well as soothes them. Makes one realize his inherent power.